Well I strapped on my brass balls today and started my rebuild on my SQ trim. I'm only doing a seal replacement, as I think my bearing are fine. I've been having oil buildup around the inlet by the compressor blades and coming out the discharge area. Here are some pics I'm not sure if I should post these here but I have some questions too. 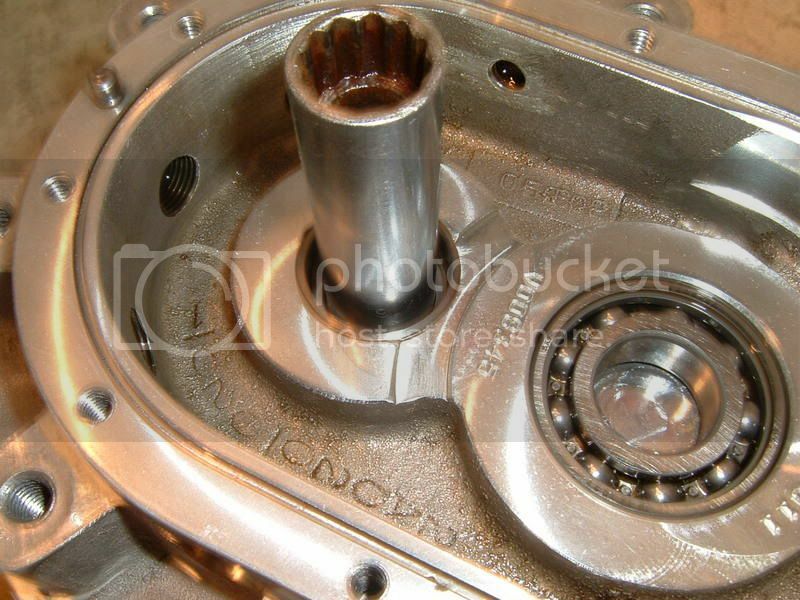 Question 1 why did the input shaft bearing stay in the front cover see pic bellow. Is this comon and whats the best way to get it out. I did inspect the Input shaft where the bearing rests and it looks fine not grooved or damaged in any way. 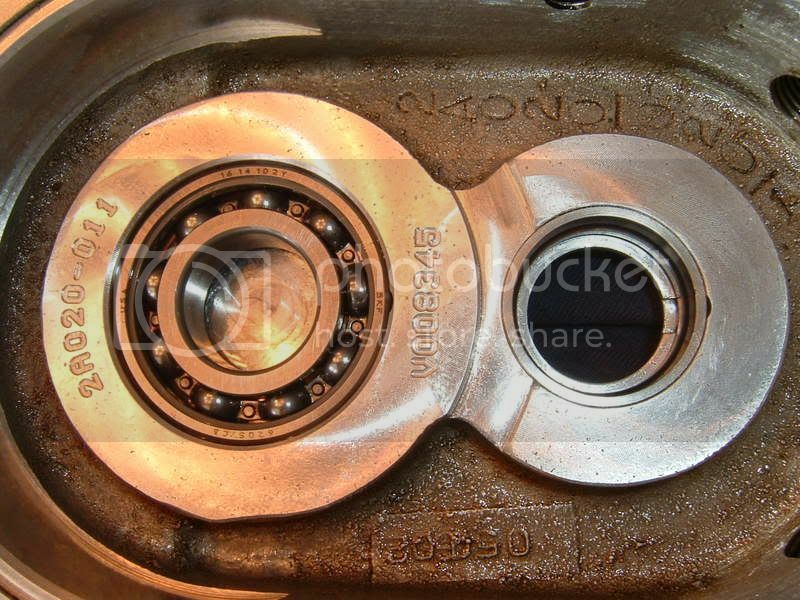 Also my bearing seemed clean and turned very well no burnt smell or grity oil so I think they are fine. Here is the input shaft it looks fine to me. Last edited by 92rohcp; 01-23-2007 at 07:19 PM. Hmm... this is the first time I've seen the internals of an SQ trim. I wonder if they changed the interference fit to the OD rather than the ID; doesn't make much sense to me but I'm not a bearing guy. 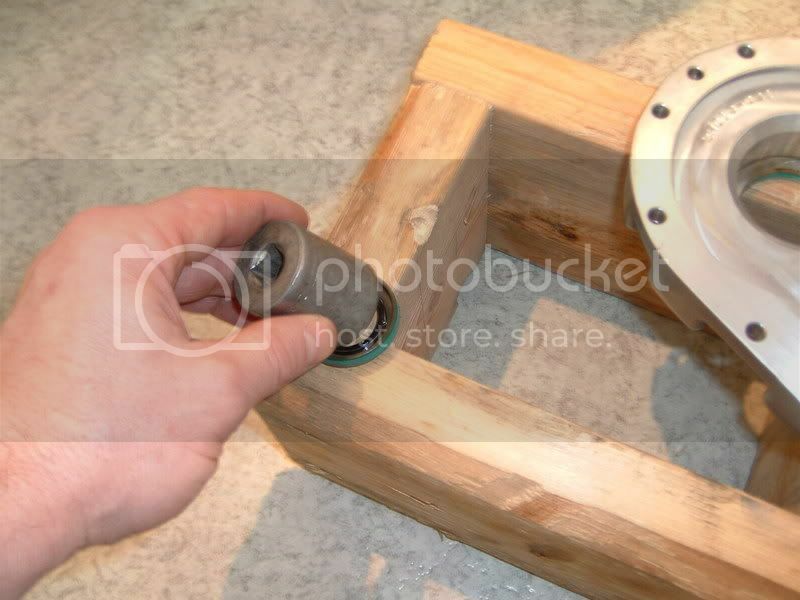 My guess; to get the bearing out of the housing brace the housing on a flat surface and press the bearing out with a tool that pushes only on the ID. If the interference is high enough on the OD, the balls will pop out and the outer race will remain; you can then push the outer race out or use a puller to pull it out. Note that this is only a guess; best to talk to a machinist to see if this is the proper way to remove this type of bearing. 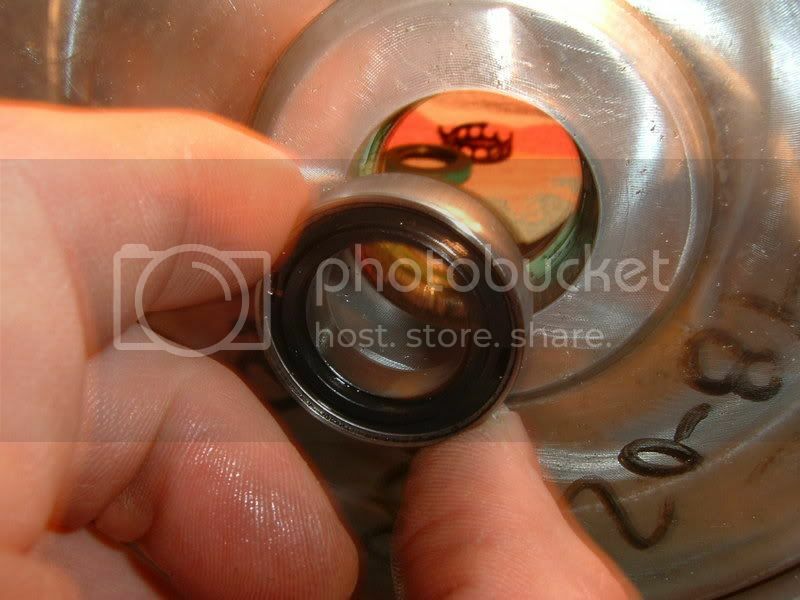 If the bearing isn't notchy I would be tempted to leave it as-is; maybe just replace the seal. You may want to mic the journal and compare it to the literature for recommended shaft size of that particular bearing, SKF 6205. Take lots of pics and let me know how the rebuild goes! I would like to update the rebuild instructions with what you find. Well I guess by brass balls dropped off today, had some problems. seems that the input shaft would not come out of the gear case when I pressed the output shaft through the impeller wheel. 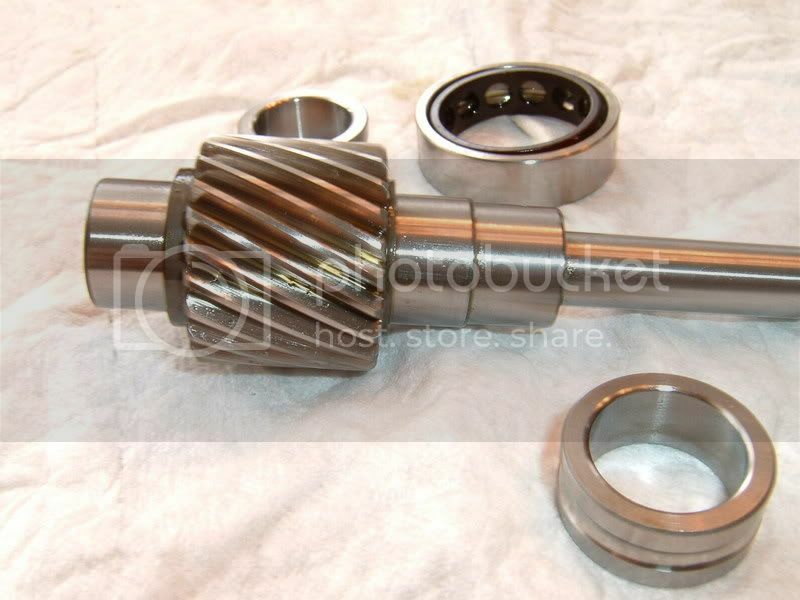 The inner bearing on the output (high speed) shaft seperated when it made contact with the big gear on the input shaft. The outer bearing race stayed in the gear case and there is little to no clearance to get it out. 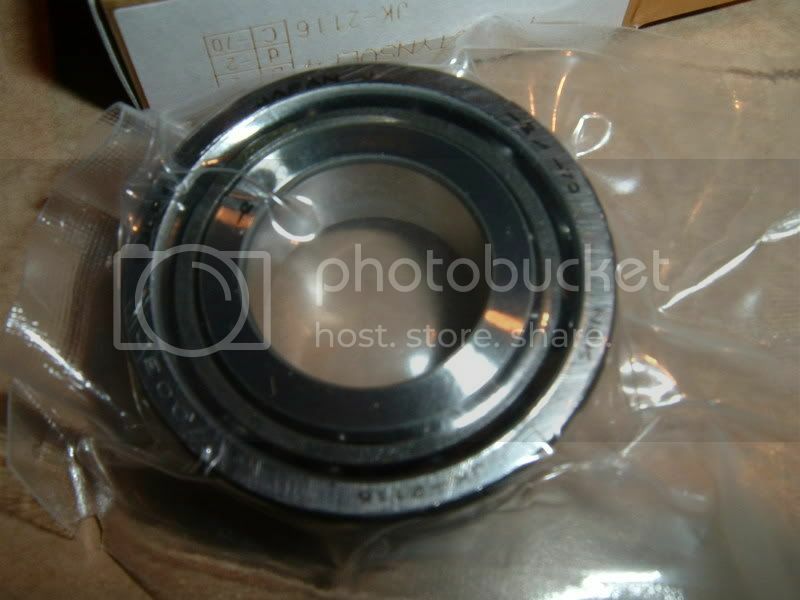 It also appears there is a different style seal for the output shaft, it has a metal in ring that has a hard plastic outer seal that is spring loaded. The plastic part seems to make a seal with the spacer that is between the impeller and the outter gear case. This is not at all like the v-1 units. Check out the pics. Also here is the rig I built to support the gear case when pressing the shaft out. AFTER PRESSING THE HIGH SPEED SHAFT OUT THIS IS WHAT IT LOOKED LIKE OUTTER BEARING RACE STAYED STUCK INSIDE CASE. 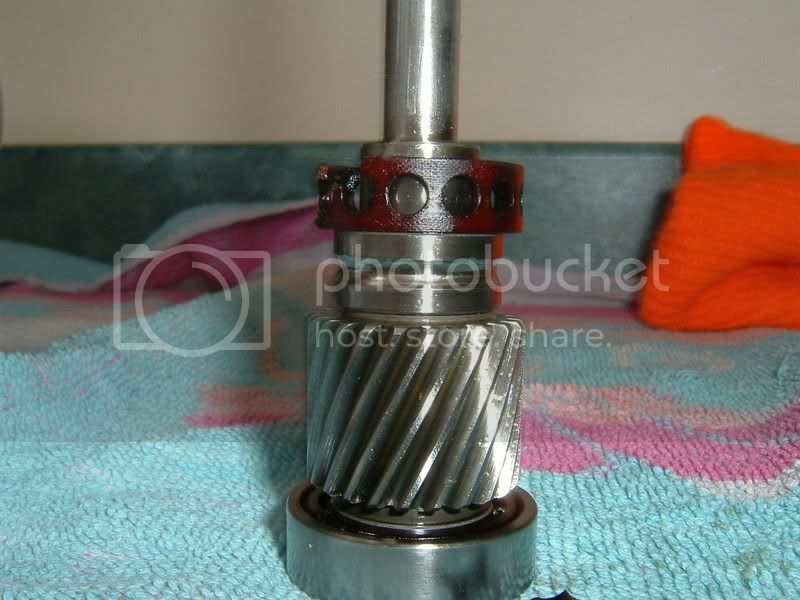 NOT REALLY SURE IF THE BIG GEAR ON THE INPUT SHAFT DID IT OR THE BEARING WAS PRESSED HARD INTO THE GEAR CASE. THE SPACER OR WASHER ON THE SQ IS DIFFERENT IT DOES NOT HAVE A CHAMFER ON IT. HOWEVER IT DOES HAVE A GROOVE IN IT THAT FACES DOWN TOWARD THE GEAR CASE. LOOK HOW THE OUTPUT SHAFT SEAL IS HARD PLASTIC AND PIVOTS ITS SPRING LOADED THERE IS NO SOFT RUBBER LIP AT ALL. 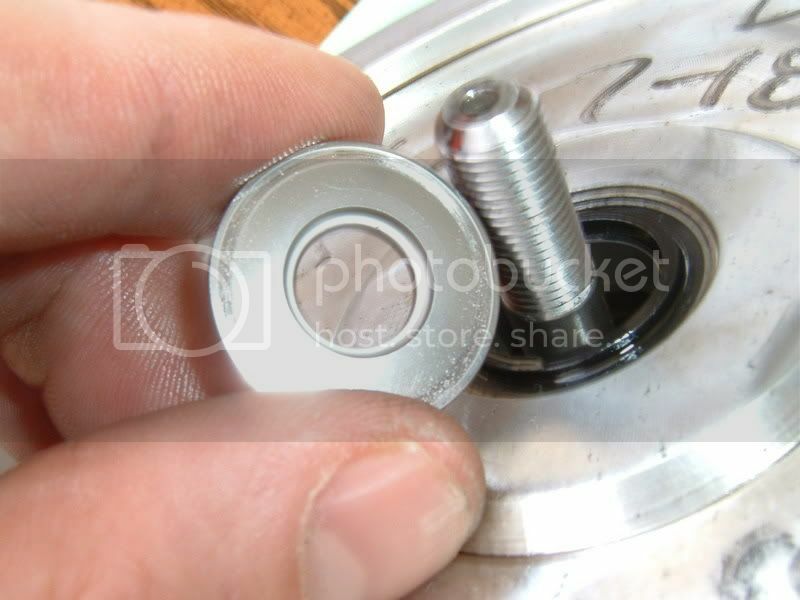 HERE IS HOW THE WASHER OR SPACER FITS AND MAKES CONTACKED WITH THE HARD PLASTIC SEAL. 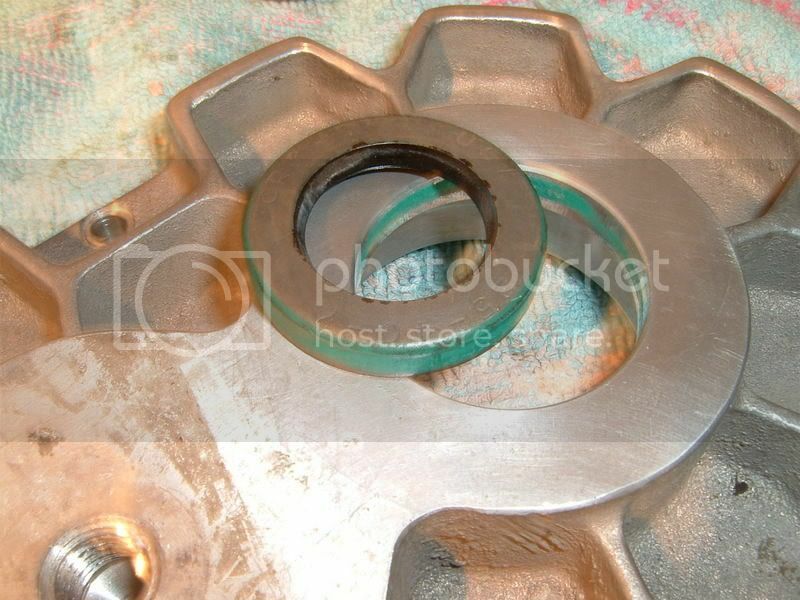 YOU CAN TELL BY THE WARN AREA OF THE WASHER THAT IT TURNS WITH THE IMPELLER AND MAKES CONTACKED WITH THE SEAL THAT MUST BE THE SEALING PART. IT WAS LEAKING ON MINE, BUT IT DOESN'T LOOKED DAMAGED MAYBE JUST BAD DESIGN. Another noted difference in the SQ is the cover to the impeller has an orange gasket (seal) and a small lip for it to fit into. Last edited by 92rohcp; 01-23-2007 at 07:39 PM. Made some progress today. Brass balls back on I was able to get the bearing from the input shaft out of the front cover. All I did was put the cover back on and removed it again, this time the bearing started to come out. I did this a couple more times and it came out. 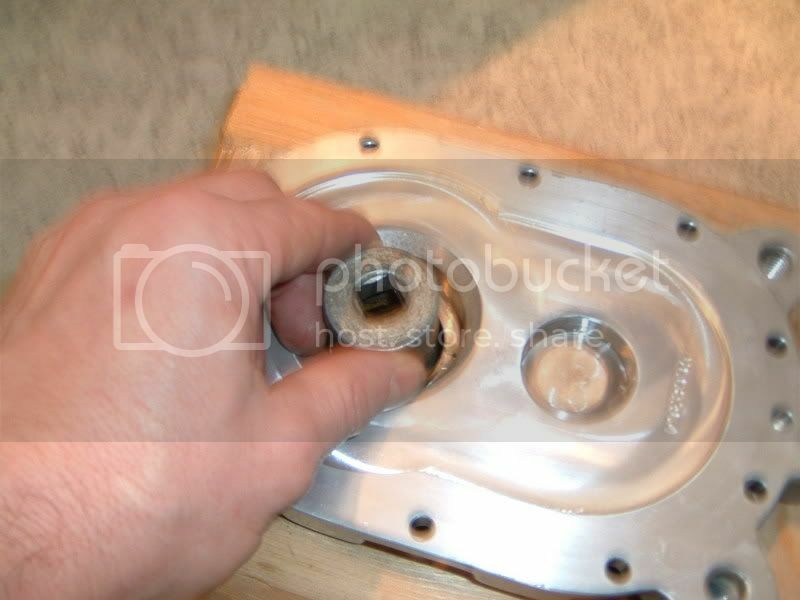 I then used a large socket to remove the oil seal punching it out the front. REMOVING THE OIL SEAL ON THE FRONT COVER FOR THE INPUT SHAFT WAS EASY JUST PUNCHED IT OUT WITH RUBBER MALLET AND LARGE SOCKET. 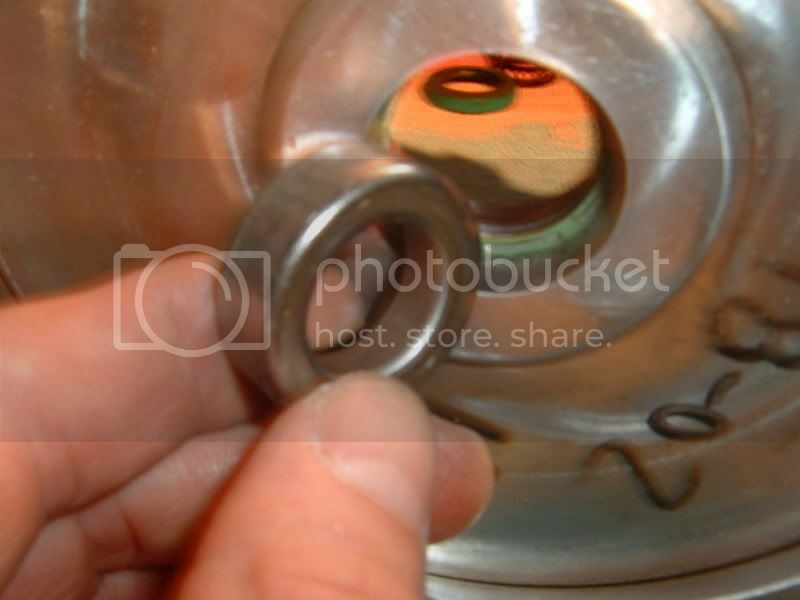 THIS PIC JUST TO SHOW HOW THE SOCKET FITS INSIDE THE SEAL. THE OUTPUT SHAFT SEAL (COMPRESSOR SEAL), WAS A HARD TO GET OUT. I COULD NOT DO IT WITH THE RUBBER HAMMER. I USED THE PRESS AND EVEN THAT TOOK ALOT OF FORCE. REMEMBER THIS IS A DIFFERENT SEAL THAN THE OTHERS SEEN BEFORE. THIS BUGGER WAS REALLY IN THERE YOU CAN SEE BY THE METAL CASE, ITS VERY STURDY. NOTE THERE IS NO RUBBER LIP THAT CONTACTS THE IMPELLER SHAFT AT ALL. Last edited by 92rohcp; 01-23-2007 at 07:51 PM. Here are my 2 problems I'm facing now see pics. The inner bearing race that broke on removal of the impeller shaft is soo close to the gear to get anykind of bearing puller on it. 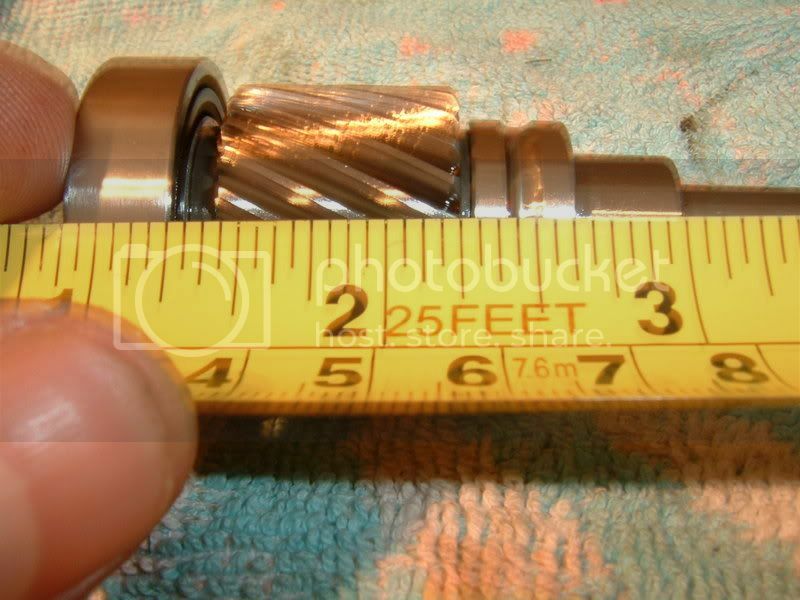 It looks like 1/16 of an inch from the gear. How can I remove this??. NAPA didn't have any bearing pulley that was small enough. I'm gonna keep looking. I was finally able to free the input shaft from the gear case by carefully tapping the case with a rubber mallot while holding the shaft. 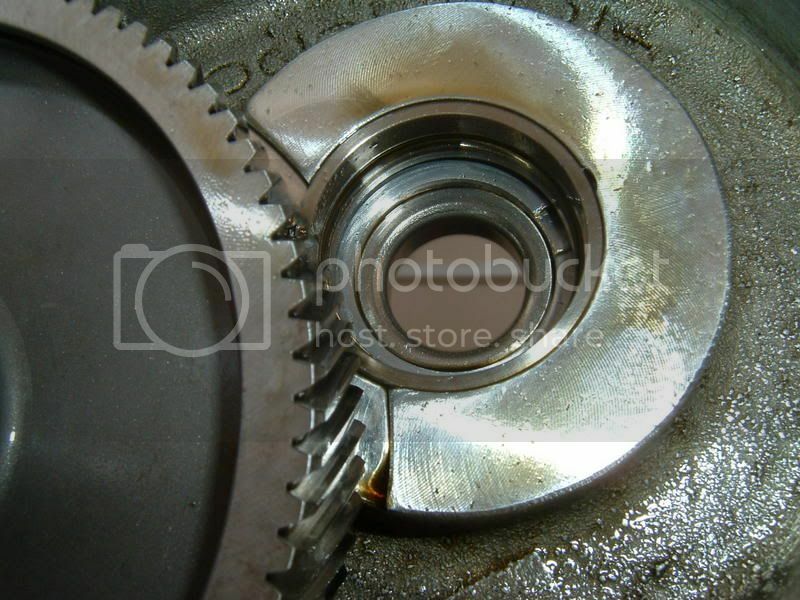 However now I have the same problem as before the bearing came off the shaft and stayed in the gear case. I tried putting the shaft back into the bearing and whiggling it around as that worked for the bearing that was stuck in the front cover. Any ideas here??? Last edited by 92rohcp; 01-23-2007 at 07:30 PM. I had this problem with my old powerdyne, I took it to a friend with a steady hand who I know had done it before, all he did was cut a slit down(not all the way through) the race and then gave it a tap with a brass punch and the race cracked and fell right off. Obviously this is prolly a last resort but worked out in my case. I would cut it. I have always cut inner races on a diagonal and then used a punch or chisel to drive it out. They usually 'pop' after a couple hits, probably due to the hardness of the race. Hmm... I think I chucked the shaft onto a lathe and used an oxy-acetylene torch to heat just the inner race up, then I pulled the race off the shaft quickly. I screwed up the first time and had to wait a few minutes to let the assembly cool back down. 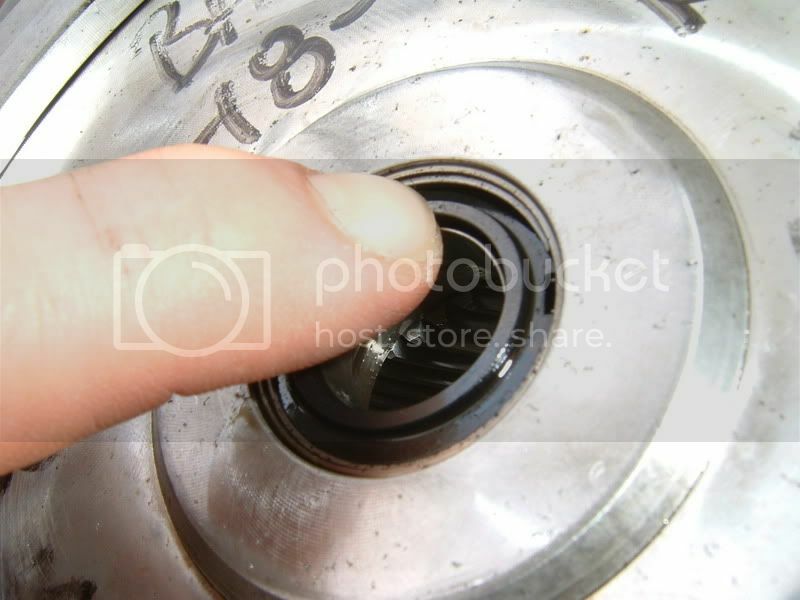 I'm a bit distracted right now so I'll have to think some more about your second problem a little later... it looks like the compressor seal is a carbon face seal; it's designed to wear against the washer. I don't think I want to use another the carbon faced seal again, it seemed like it was prone to leaking. I should be able to use the the chicago rawhide rubber lipped seal don't you think? Also I was able to get the inner race off the output shaft today. I went to a guy who does alternator and small elect motor repair. He had a small bearing spreader that was able to get between the gear and the innner race. Then we just pressed it out. Now I have to work on getting the these bearing out of the gear case. I think I will try heating the bottom of the case near the bearing cup with propane torch and see if I can't get them to come out. i give you alot of respect. after seeing all this i think i will just send my head unit out and have it rebuilt. 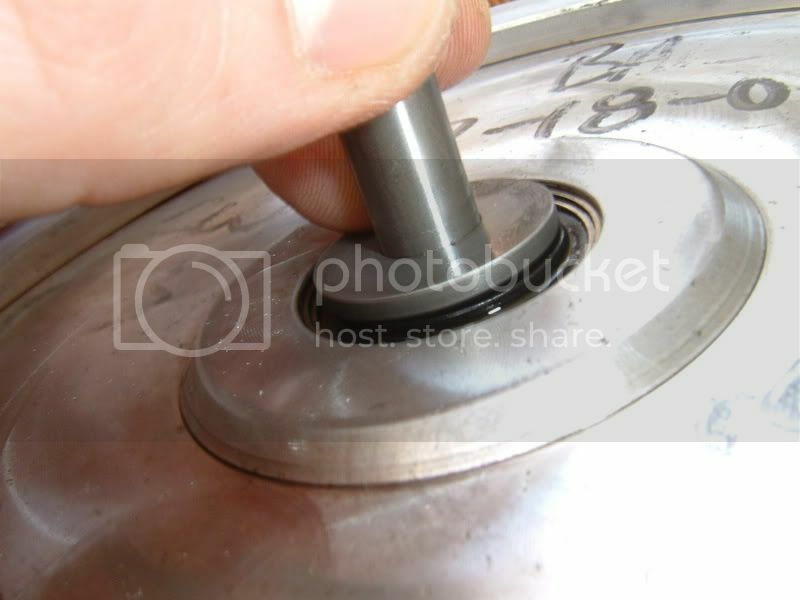 All bearings are removed from the cases and both input and output shaft. Turns out the scars I had with the bearing staying in the cases was no big deal they all came out with a little coaxing. Here is the gear case which had the outter race from the output shaft and the hole bearing from the input shaft which stayed in when removeing the shafts. 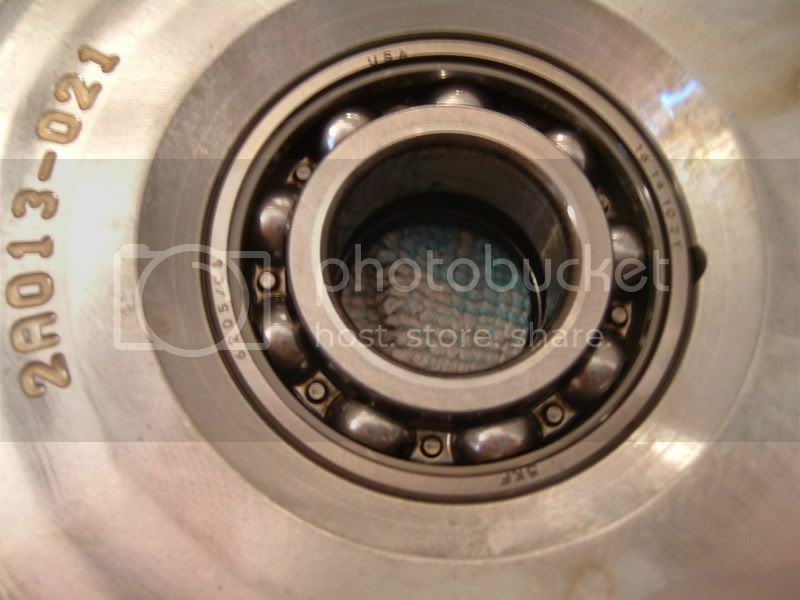 They should have stayed on the shafts and come out of the case, but when pressing out the output shaft the bearing seperated and the outer race stayed in the bearing cup. Anyway both came out easly. I used a punch here on the bearing groove on the outer race tapping from the outside it came right out. Now I'm trying locally to have the bearing and seals listed in the beggining of this thread. It should be easy from here pressing the bearings on the shafts. All press down to a seat so its a no brainer. I think they key here is when doing a rebuild and only trying to replace the seals you may not be able to save the bearing like in my case. I think most will come out all right though. Last edited by 92rohcp; 01-24-2007 at 06:01 PM. I would not be afriad to do it again. I've learned alot from the guys who started this thread. Without there now how I would not have tried myself. But really its a confidence thing. Its not as bad as it looks. We'll see if I feel the same when its up and running. lol, good job 92rohcp. With your permission I would like to nab your pics and rebuild and incorporate them into the rebuild instructions? If you wouldn't mind sending me the original higher res pictures I would really appreciate it. Regarding the chicago seal versus the carbon face seal - I'm not sure that they're fully compatible. You'll have to check the stackup of all the parts and how they'll fit with the chicago seal in place of the carbon seal. 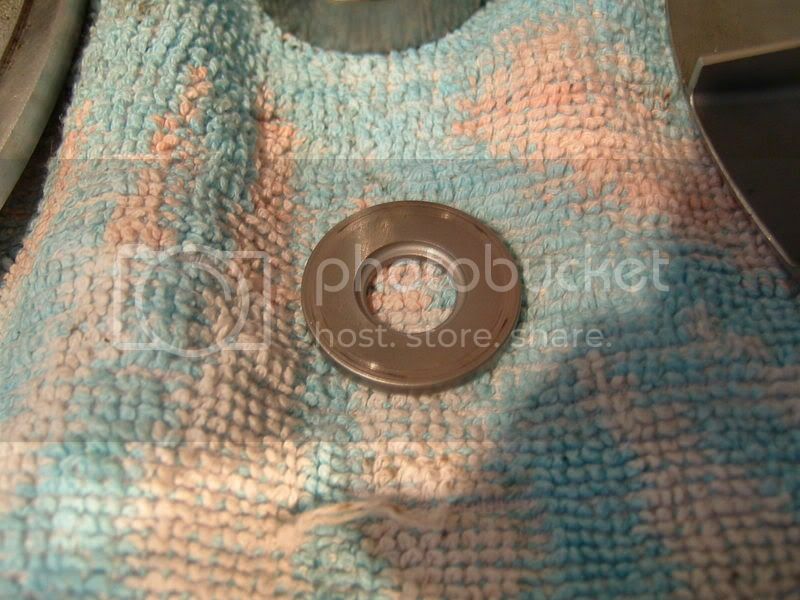 The chicago part seals to the OD of the shaft; the carbon seal seals to one side of the washer. So there should actually be a small axial interference between the face seal and washer. For the chicago seal to work, there must be radial interference with the shaft. After having lived thru it, I would like to hear some of the things you've learned that "you had better know going in..."
SCT Tuner, TA PERFORMANCE rear end girdle dealer. Best price guaranteed! The lowest price and FREE Shipping (48 states) to Corral users that buy directly from me. I've learned that there really is nothing special to this rebuild. The hardest part is getting over the fear of the unknown and thinking everything is critical. I had a couple scars but only because I let it get to me. Its all very straight forward. Like the guys that put this thread together no smoke and mirrors. I would not be afraid to do it again, and don't see why if you follow the advice and instructions like it did anyone can do it. silver86 and I rebuilt his and actually made a hybrid out of 2 different units. Like you said, No smoke and mirrors. Granted, I can see a small percentage getting clearance issues and stuff. I have no fear that when my V2-SQ needs to be done, I will be able to do it myself. 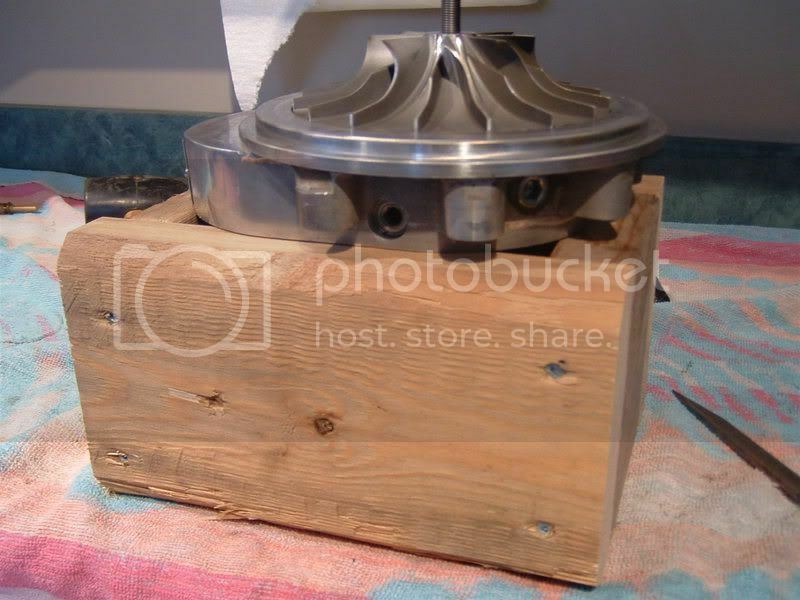 In fact I'm planning a front mount setup later and will have to either get a straight discharge volute or get mine modified. Looks like easy-cheesy-nice and squeezy! Yes I read your post and saw the pics very interesting and ballsy. How is your unit running today any problems. On a straight rebuild I really can't see where clerance issues would be a problem it seems to be a no brainer. All bearing are press down to a seat so there is no measuring there. 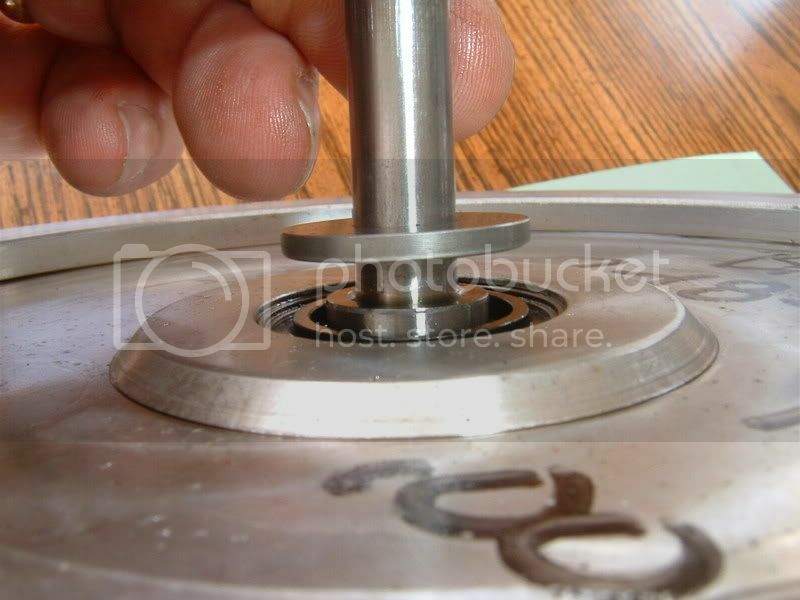 The wave washers take up the bearing slack so as long as the bearing and the impeller are pressed down to the seat when you close the case its perfect. Joe actually did the rebuild for me. The unit is still going strong, with no signs of problems. The only thing I was worried about when he did mine, was we were putting a S impeller on a A-shaft and I was worried about the balance. Everything worked out fine though. Maybe someone could help me here. I'm trying to find a good deal on bearings which has been hard. 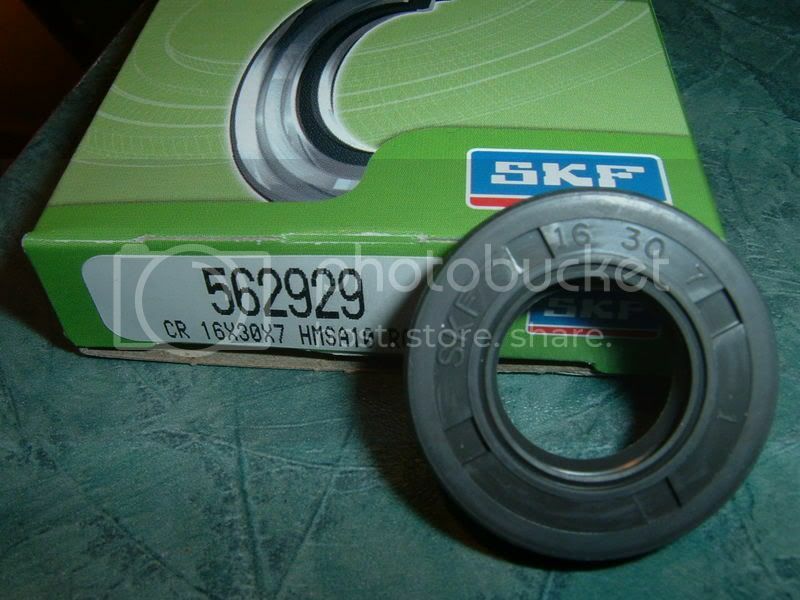 Here is what I've found the SKF 6205JEM low speed bearing that goes on the input shaft is fairly inexpensive and available almost anywhere Napa, and most auto parts stores have them for $19 a piece. The seals also can be had insome of the auto parts stores in my area for $4 a peice. The problem is the high speed angular contact bearing SKS 7003cd/p4adga is very expensive. Prices ranged from $350 to my best price of $258 for a set. I called many places and when asked for a better price all would come down on the price as stated by Dedicated50. Now when I asked for them to cross to the alternative bearing listed the best price was on the NFK7003ctydul at $180 a set also a high speed angular contact bearing. Much better, but I would like to get the price down more. I'm trying to make this rebuild worth it $$$$ wise because I called Jamie at Vortech and he qouted me $369 for a seal and bearing rebuild on an SQ. With shipping both ways say $60 with insurance. it bring the Vortech rebuild price to $429. 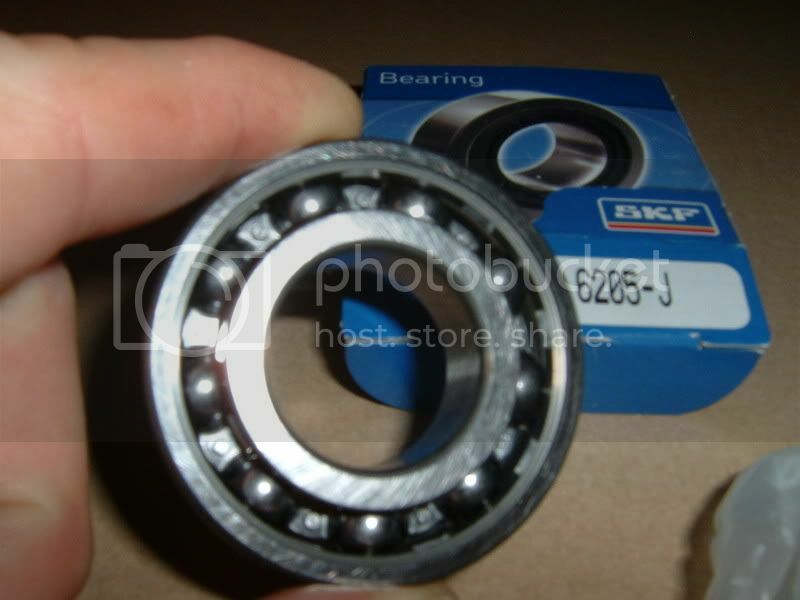 My rebuild parts cost comes to $226 bearings and seal best price. that a $203 dollars savings doing it myself. So $203 - $60 shipping = $143 which would be the labor charge I would have payed to vortech. Thats pretty good I have to admit. But in the end if I can save $203 and learn on my own how to rebuild my blower its still worth it. If anyone here has contacts or can get these bearing cheaper than please chime in because it would make this rebuild more feesable for myself and others. Last edited by 92rohcp; 01-28-2007 at 09:58 AM. Sorry - I got my "proper" bearings from Dedicated5.0! Yeah... I PM'd him he said that he does'nt sell the bearing kits anymore due to his costs going up. I was just hoping to get a better price to try and make this rebuild more cost effective. My rebuild is on hold till monday when I get the low speed bearing and seals. 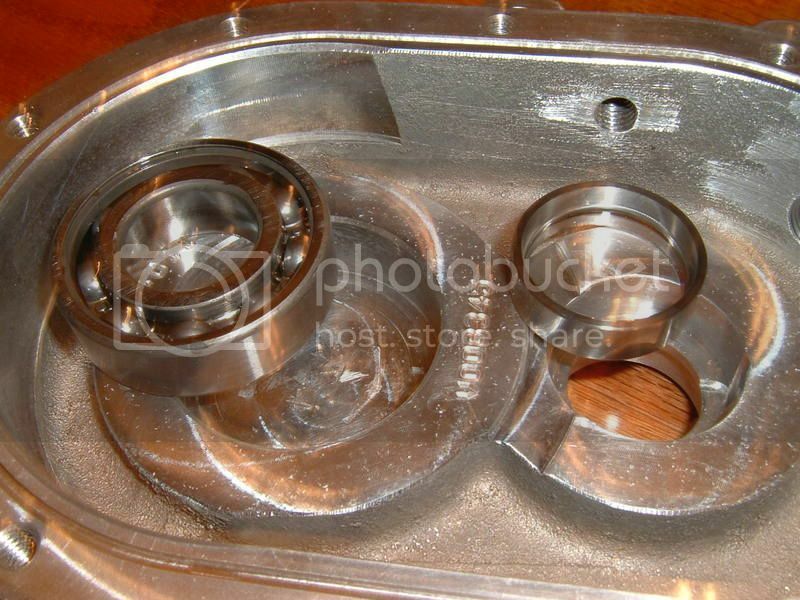 I am gonna intal the bearing with a press next week. I will take good pics and post it. The High speed bearing will have to wait till I get the $$$$$ to buy them maybe next month. 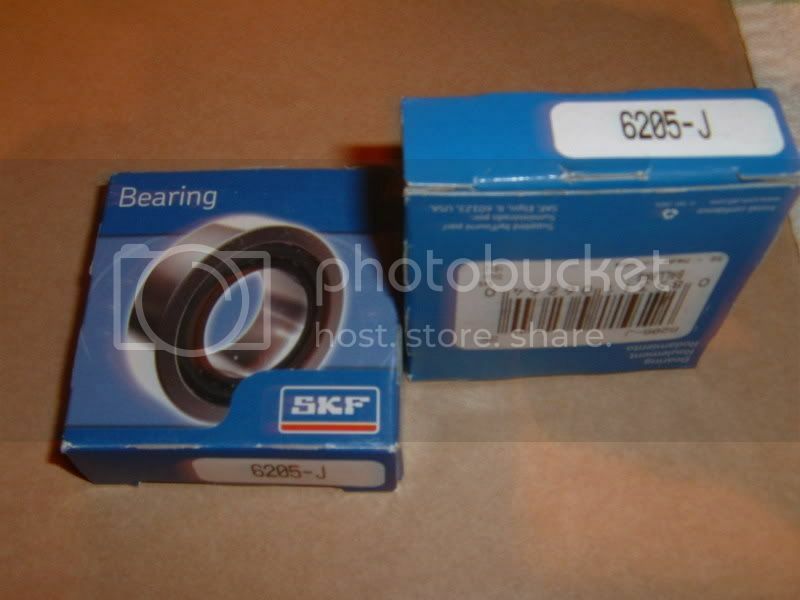 Here are the low speed bearings I was able to get them at Big A auto parts for $17.89 a piece. I'll be pressing them on today. The input shaft is ready to go. I pressed the bearings on with a shop press at a local garage that has allowed me the use when needed. The only small problem I had was when starting the bearing on the short side of the shaft it tended to cant or go on crocked. I had to go slow at first tapping with a hammer in the inner race to get it straight. Here is a pic of the seals as you can see they are not Chicago rawhide seals they are SKF. I gave the parts guy the Chicago rawhide part #'s 9776 and 6428 listed by Notoriousnotch. 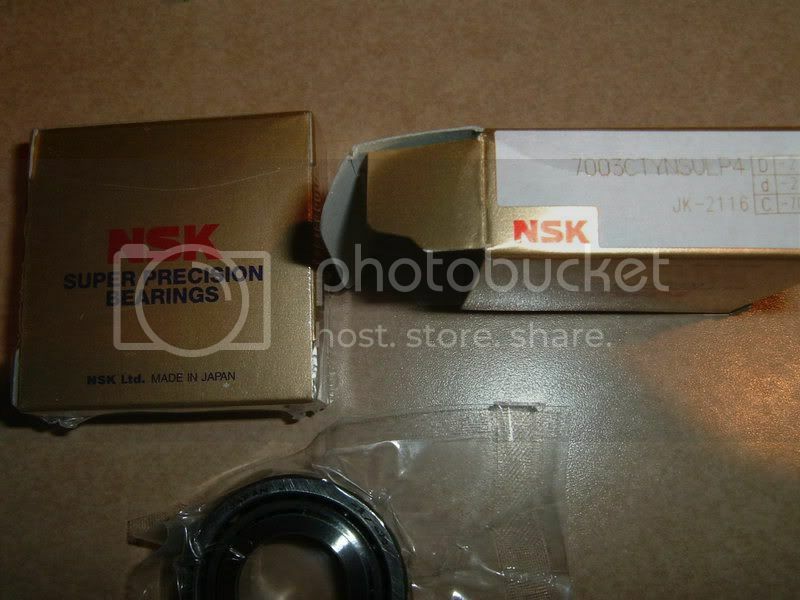 When they arrived they were SKF brand. I was told that Chicago rawhide is now SKF and most seal and packaging has the SKF loggo and new parts numbers as you can see by the boxes. 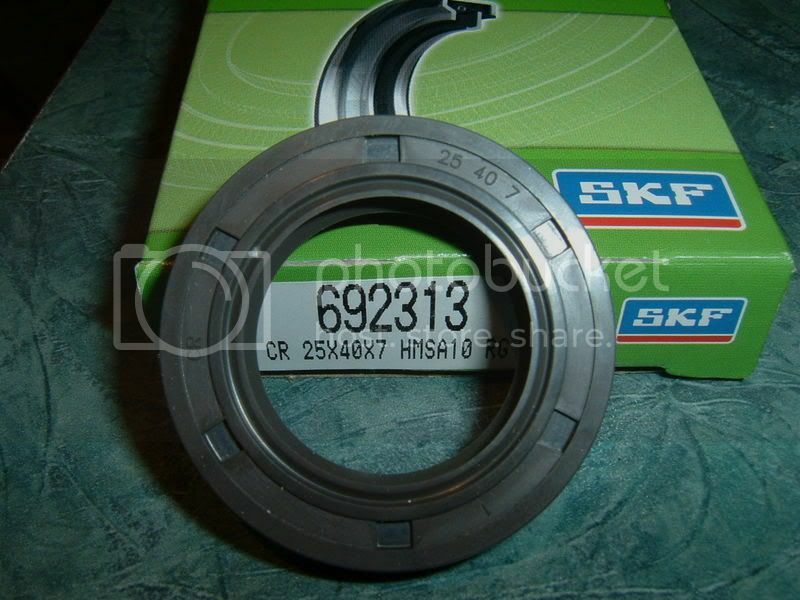 This is the new double lipped SKF seal for the input shaft. Input shaft seal installed dry. I started by hand and then used a rubber mallet and a large socket. Be carefull this one has no lip to seat against so you can push it too far in. Just work it slow and make it flush. 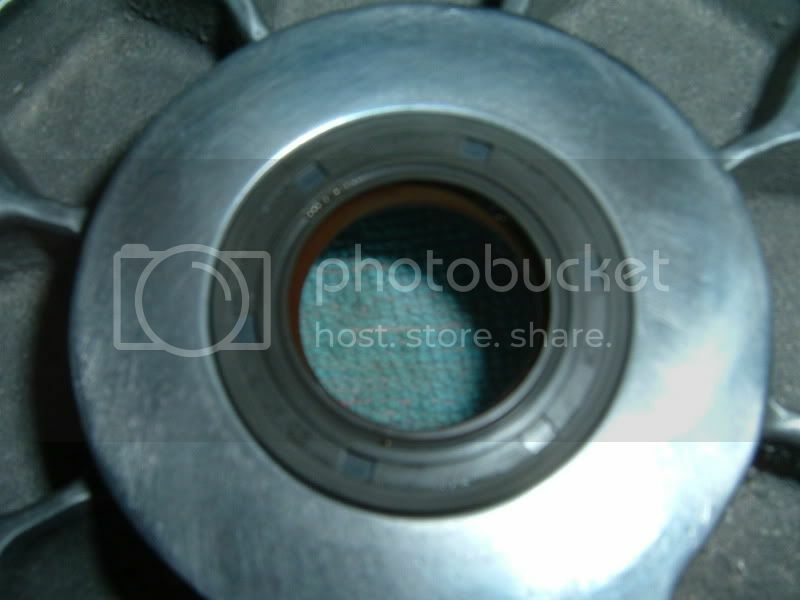 Here is the output shaft seal installed this was easy it has a seat. Note this is not the style seal that the SQ came with. 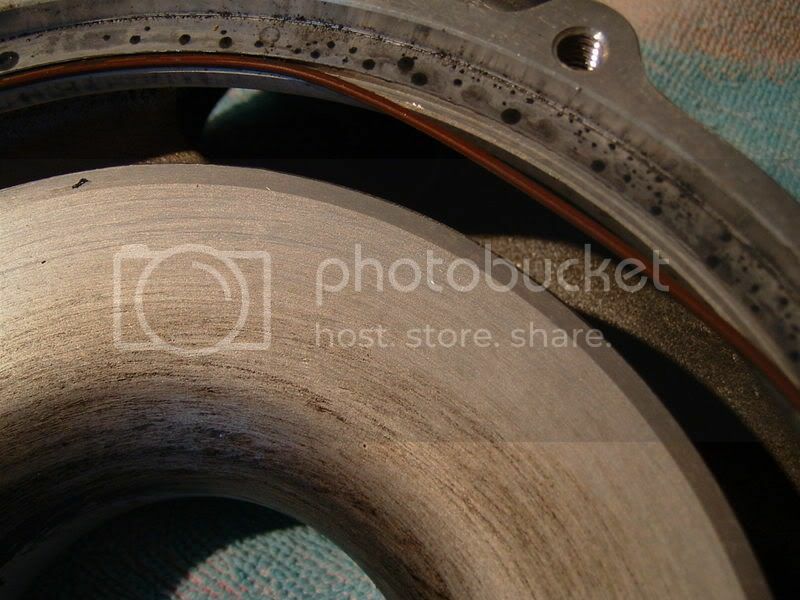 It had a graphite or carbon faced seal that made contact with the impeller spacer. See posts and pics above to see the carbon faced seal. My hole reason for this rebuild was because the carbon faced seal was leaking. It didn't appear to have any damage or excesive wear when disasembled, but I think it just doesnt work very well. Last edited by 92rohcp; 02-08-2007 at 05:54 AM. How much time do you think it will take start to finish? In my teens I would have been game, but now I have to watch what I have "time" to learn. I have a nicked impeller that hasn't given me a problem yet, but this new motor is a little more than I want to lose. Hard to say for me. Some huys have said 2 to 3 hours. I have been doing this slowly and have had down time to get the bearings and seals and some small snags that I had figure out. Also I had to find time to use a shop press from a local garage. I think if you where to have a press and air tools and were able to reuse your bearing you could do it in 2 hours, maybe less. 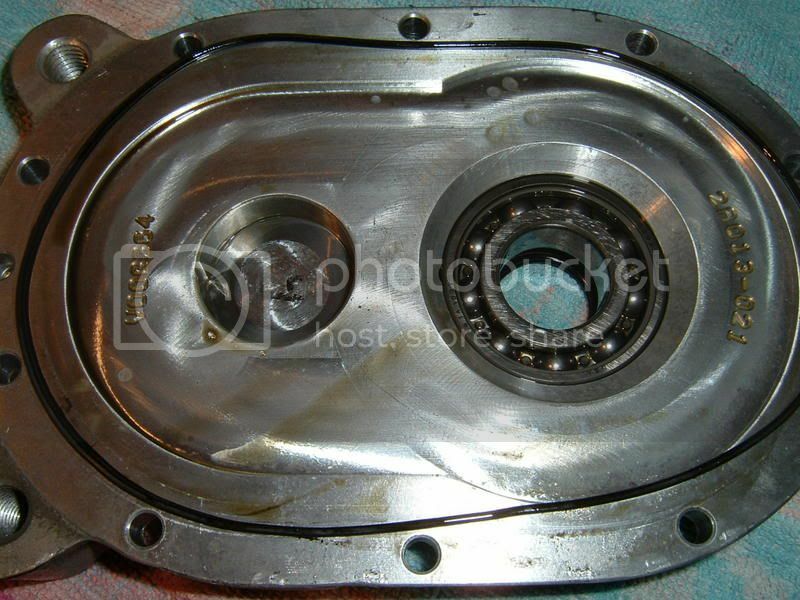 I had the case open in 10 miutes, but the bearings stayed in the covers and came off the shaft which should not have happened. Maybe another couple minutes to press the impeller shaft out of the impeller. 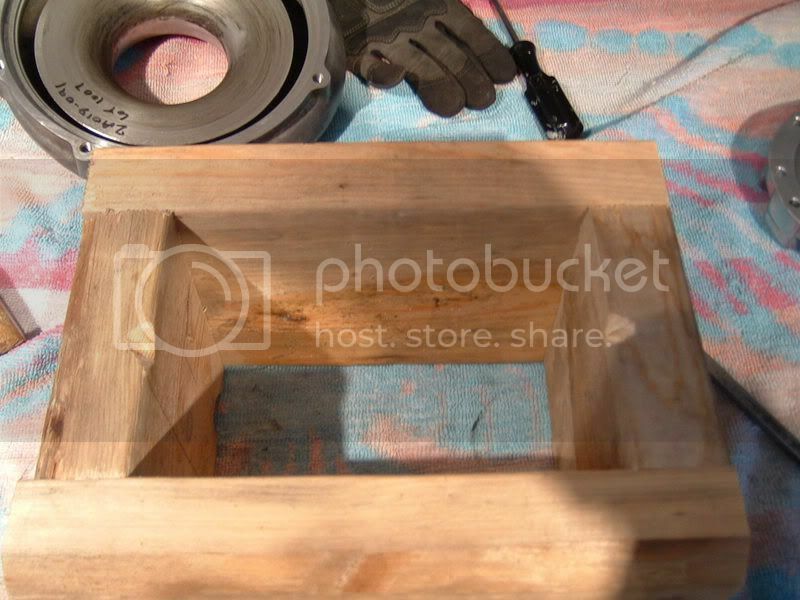 See above I built a small wood box out of 6x6 lumber to support the sc while pressing the shaft out. If your bearings are in good shape after disasembly it should go fast. Just got the High speed bearings for the output shaft. $205 tax and shipping. They look really good. Glad we could help and everything is going well with the rebuild. This is awsome. Way to go hope all goes good !!!!! Hey thanks for the encoragement. I'm almost done the high speed bearing were pressed on this morning. I'll post some pics later. The rebiuld is completed it all went back together well. 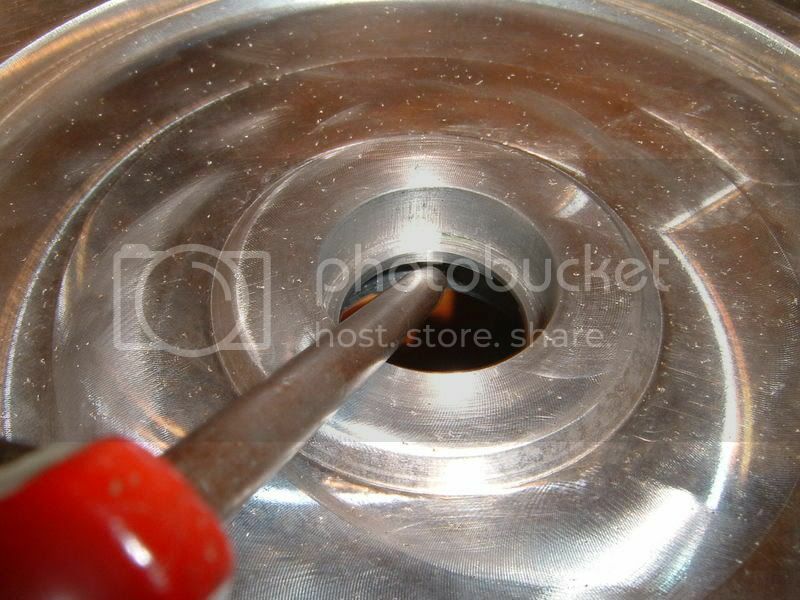 However when spinning it by hand there is some roughness and noise in one spot. 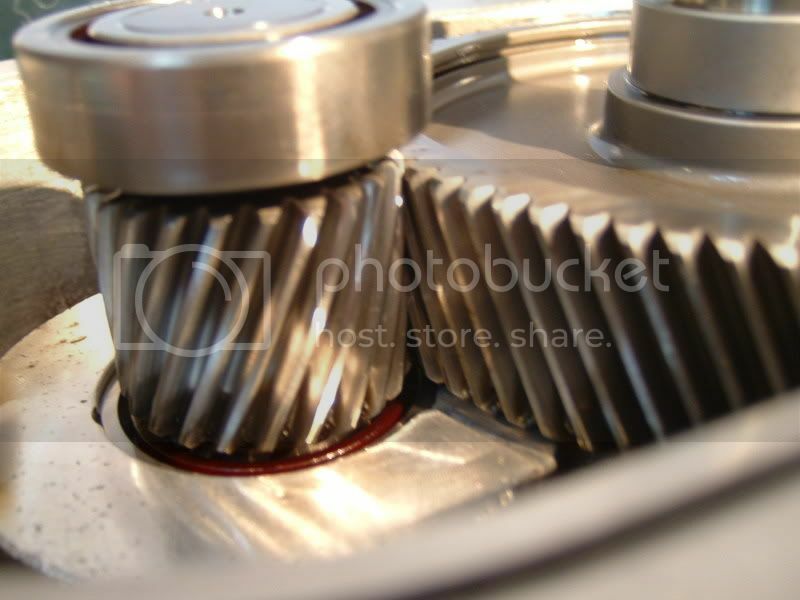 I've isolated it to the low speed side ethier the bearing or the gear. Spining the pulley its very smooth and quite until one spot where it makes a small grinding more like a rattle sound. It happens at every revelution of the pulley low speed side in the same spot. This leads me to believe it not the impeller or high speed side because that makes about 4 revelutions before the roughness occurs. I've opened the case while the gears were in the position it makes the noise. I marked the gears in that area where it makes contact then inspected them and nothing seems to be damaged. The bearings on that side all turn very smooth so the only thing left could be the low speed bearing thats in the gear case. I hope I can figure this out any help or ideas welcome. By the way, the wave washers are all in the correct spots. Last edited by 92rohcp; 02-15-2007 at 05:32 PM. First off, I have been following this thread for a while and let me say thanks for some great information. I have a Vortech S/C that is in need of a rebuild and the only thing I have not been able to figure out from this thread is which way to install the angular contact brearings on the high speed side. It is my understanding from reading this thread, there is a specific way they must be oriented on the shaft. I have not yet disassembed my S/C so let me say sorry in advance if this is obvious or has been covered elsewhere. To orient the high speed bearing is very, very easy. 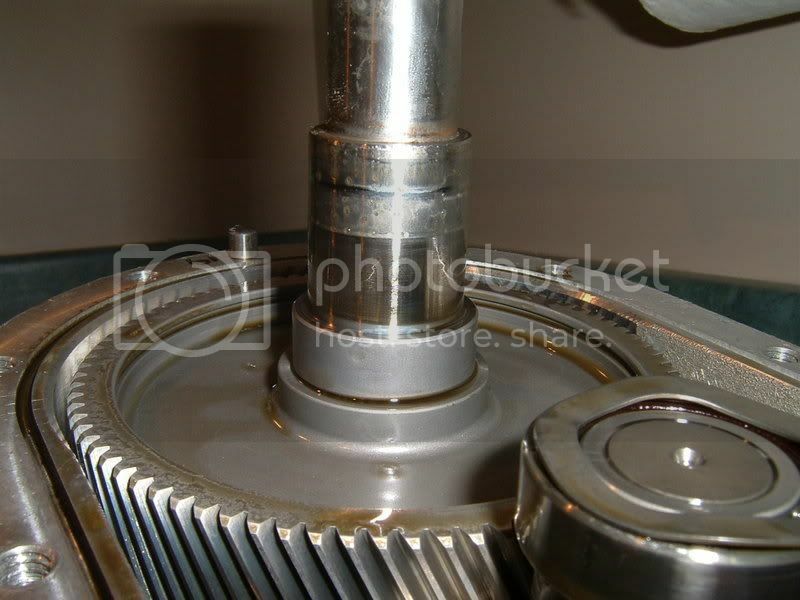 The outter race on the thrust side of the bearing will be thicker that side should face outward or away from the gear. So both bearings thrust sides outward. 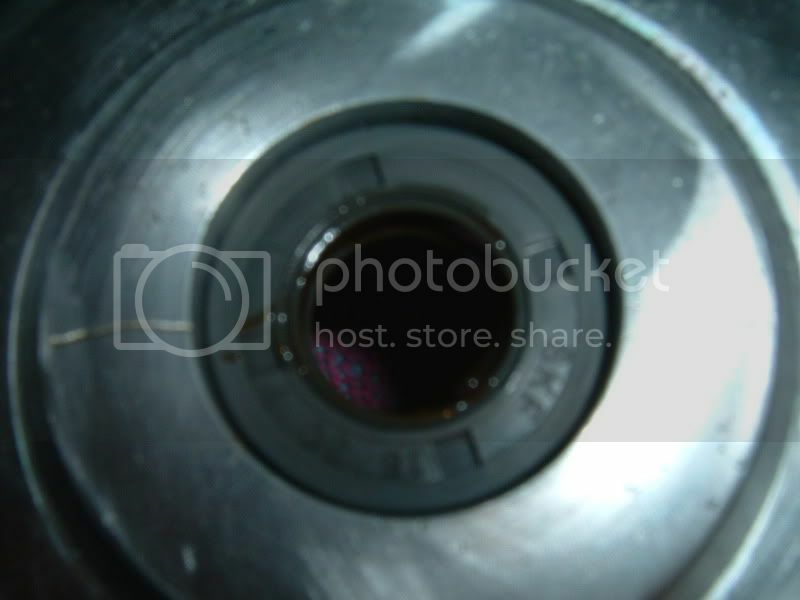 You will see this on your Vortech bearings when you disasemble, they will say thrust on that side facing out. So another way to put it is the thicker side thrust side of the bearing will face down into the bearing cups on the gear case and the cover. Last edited by 92rohcp; 02-15-2007 at 04:04 PM.